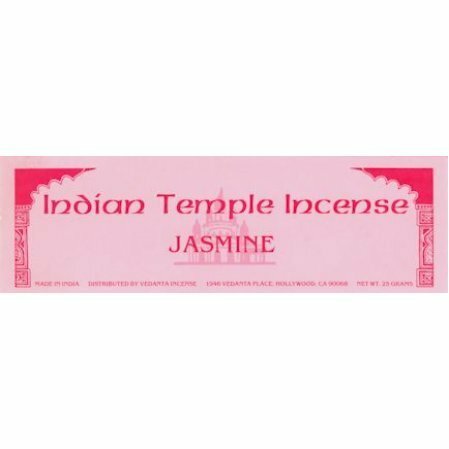 A heavier sweeter fragrance than our other Indian Temple incense fragrances, but not as strong compared to other brands. The incense is made with oil from the jasmine flower (Oleaceae). The incense has the same beautiful aroma as the jasmine incense that I first purchased from you 30 years ago. Also, it came sooner than I expected, and I love its Indian packaging. Arrived a little later than usual, but it was during all those snow storms that held up traveling. So I still give service an excellent rating!